FREE $5 Off At Educents! You are here: Home / FREEbies / FREE $5 Off At Educents! 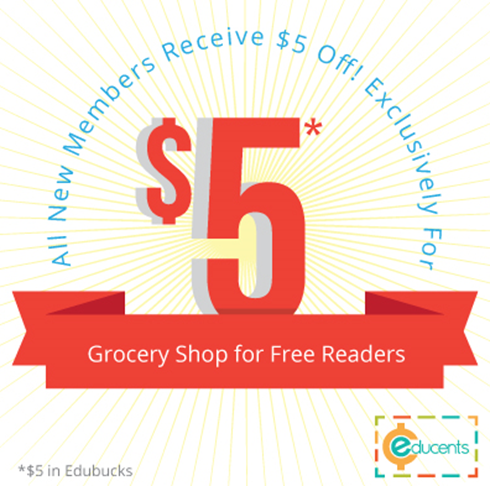 Right now you can get $5 off FREE for new members at Educents! If you don’t know, Educents offers discounted educational products. This is the perfect time of year to grab some things to keep the kids occupied and also keep their minds sharp and not lose too much footing as they head into the next school year! They have a 30 Days Of FREEbies section where you can claim your FREEbies! Right now when you use code: HAPPY FOURTH you get 10% off the entire site and FREE shipping on orders over $75! Check it out and get your FREE $5 off now!